Ten-year-old Kay Kelly has always envied pretty, privileged Violet-May Duff. But the two girls come from very different worlds, so Kay is ecstatic to be suddenly befriended by Violet-May. Welcomed into the grand Duff house, Kay finds herself charmed by the ethereal Rosemary-June, intrigued by Mrs Duff, a woman with a past, and falls helplessly in love with Violet-May’s brother Robbie. It all seems too good to be true. And it is. One mild September day, the three girls go for a walk. They cannot know it, but nothing will ever be the same again, as what happens that day on Bone Bridge will change all their lives forever. Now in her thirties, Kay’s path crosses with the Duff family once more, but it doesn’t take her long to realise that something is very wrong. 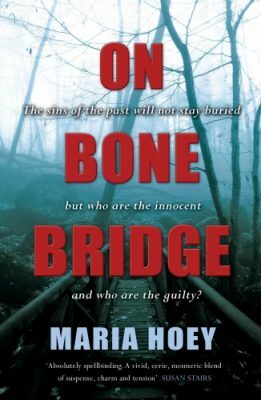 When things occur that threaten the safety of a child, Kay is forced to accept that what happened all those years ago on Bone Bridge has come back to haunt her. Now, not only must she resurrect painful memories, the time has come to face up to terrible truths, even if it means putting her own life in danger.